So I started playing songcraft in ArcheAge too, of course, and I like it a lot. Tho I liked the bard in Rift more as it could dish out some insane damage too, if played right, not just buff the group. I could solo with the Rift bard but that´s very very difficult in ArcheAge as the role is purely a group role. Well it depends on which trees u mix it with ofc. But the problem is that if i use another ability outside songcraft the songs are interrupted and I stop buffing myself and the party. Songcraft doesnt go very well with many trees I think. Its not really in sync with much… exception is the Tomb Warden (song/aura/def) which is really great in larger raids. In the Rift i could buff, debuff and do damage simultaneously. And i could choose to focus on more heal or more damage depending on the group. I miss debuffing in ArcheAge. The bard only buffs the group, no debuffing of the enemy. And I dont get much honor from kills either and there is not much to loot in instances for a healer or support. Songcraft is often mixed with Vitalism which has healing abilities and eats mana in instances so to keep up mana u have to drink a lot of quite expensive manapotions. And of course use other tricks as meditate and the mana scepter that drops in GHA. Same in pvp raids if u want the group to stay alive…I prefer to play as Tomb Warden in raids and in smaller groups just mix it with Shadowplay and Auramancy or Defence. I always try to add shadow play in smaller pvp groups as stealth and backdrop is nice to have. So ideally i choose Songcraft, shadowplay and auramancy/defence. For instances Cleric is a great choise. But also for pvp if u can do without stealth and u need 1 more healer. Witchcraft is also a nice tree to blend in to get more cc, purge and make it pure support. The gear is a problem too as I need cloth in instances as they often are a bit of a challenge when it comes to mana and mana regen. But because of all archers I need leather or plate in open world pvp to be able to stay alive… (Nah i cant afford stone cloth..). So as i have to collect 2 settings of gear I still dont have good enough armor and I constantly feel Im far behind the others. 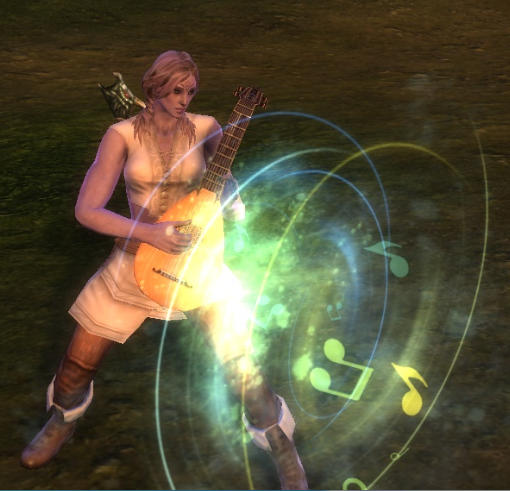 So I miss a lot from my Rift bard but despite all this, I still love to play songcraft in ArcheAge. I still have a lot to learn tho and some of the problems i mentioned here may be easy to solve when I gain more experience. This entry was posted in ArcheAge, Rift and tagged bard, character, cleric, healer. Bookmark the permalink. true, there are a lot more tools in AA to create a char than in older games. Are u still in Rift? Everything is very open with a precise description of the issues. It was truly informative. Your site is very helpful. Many thanks for sharing!